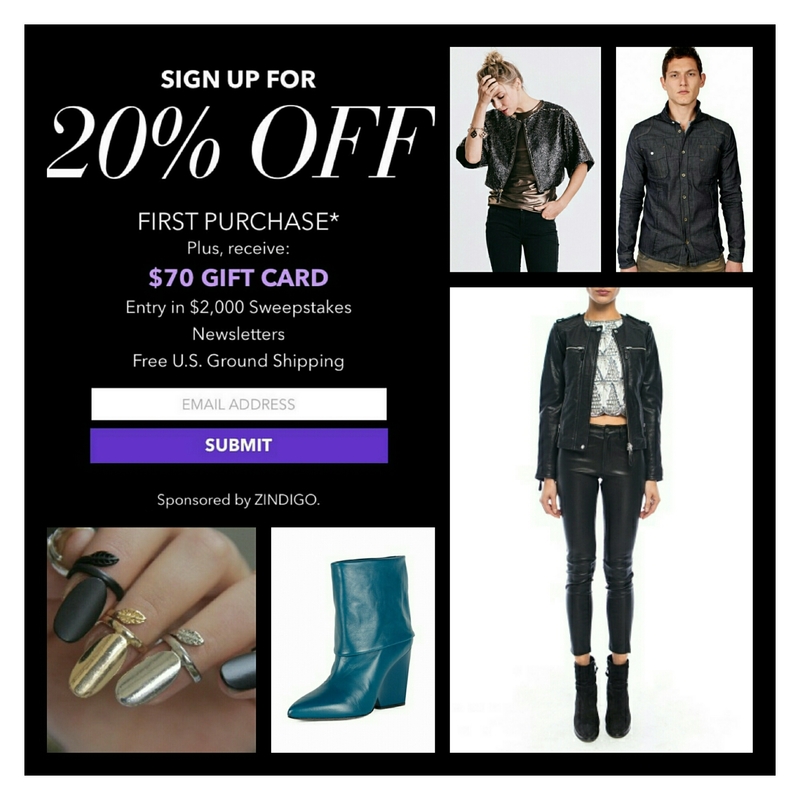 I’m pleased to announce that I have teamed up with Zindigo to offer my readers a $70 gift card, 20% off and free shipping. Zindigo offers some of the best luxury brands and designers. The online shop has fashion for women, shoes, jewelry, accessories and you can even pick up something for the man in your life while your at it, as mens fashion is also available. You must sign up with your email via my VIP link CLICK HERE in order to receive the discount etc. Tags: black friday, Fashion, fashionista, Mens Fashion, online shopping, shopping, women's fashion. Bookmark the permalink.